This will be the prime minister's first rally in Chhattisgarh after the BJP suffered a massive loss in the state assembly elections in December last year. New Delhi: Prime Minister Narendra Modi will on Friday visit Jalpaiguri to lay the foundation stone for the four laning of the Falakata-Salsalabari section of National Highway-31 D there. This 41.7 km-long section of National Highway falls in the Jalpaiguri district in West Bengal and will be constructed at a cost of about Rs 1938 crore, a statement from the Prime Minister’s Office said. The project will reduce the distance from Salsalabari and Alipurduar to Siliguri by nearly 50 km. This is significant as better access to Siliguri means better access to railways and airways. The National Highway will facilitate better movement of tea and other agricultural produce from the region to markets. The improved connectivity will also lead to an increase in tourism in the region. All this in turn will give a major boost to socio-economic activity in the state, opening up employment opportunities for the local people, it said. PM Modi will also inaugurate New High Court Circuit Bench at Jalpaiguri, the statement said. Residents of these four districts will now have to travel less than 100 km to access the bench instead of 600-km trip to Calcutta High Court, it added. 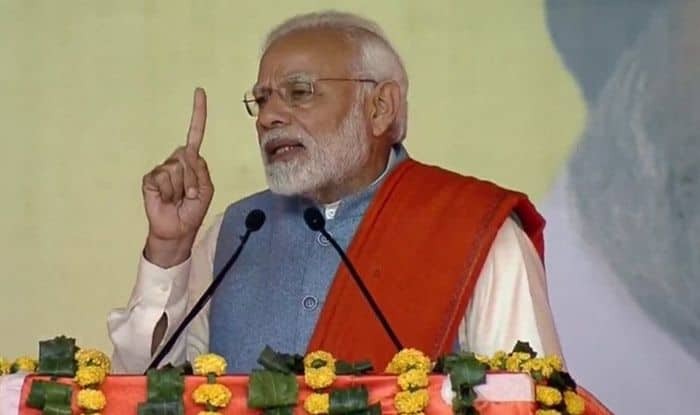 PM Modi is also scheduled to address a rally in Chhattisgarh’s Raigarh district on Friday. “All the preparations have been completed for the PM’s rally in Kodatarai village in Raigarh, which will take place around 10 am,” a spokesperson of the party said. Former Chief Minister Raman Singh, Union Minister of State for Steel Vishnudeo Sai, Rajya Sabha MP Ramvichar Netam are among those who will be present on the occasion, he added. In 2014 Lok Sabha polls, the BJP had won 10 out of 11 seats in the state. However, in the assembly polls held in November last year, the party had suffered a massive defeat at the hands of the Congress and bagged just 15 out of the 90 seats.